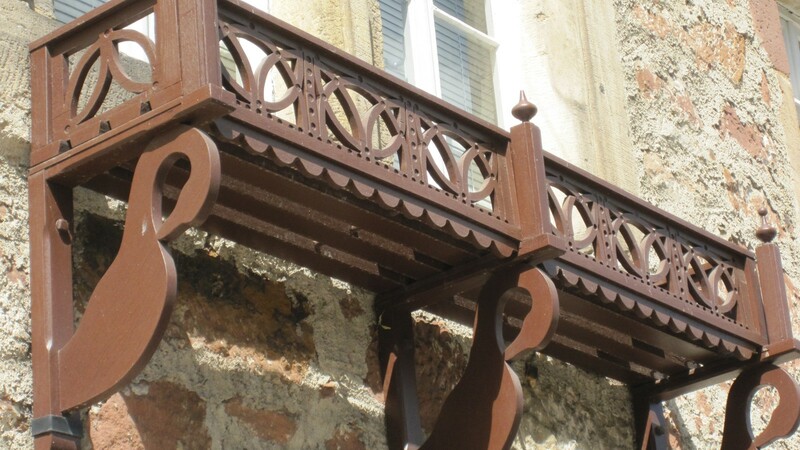 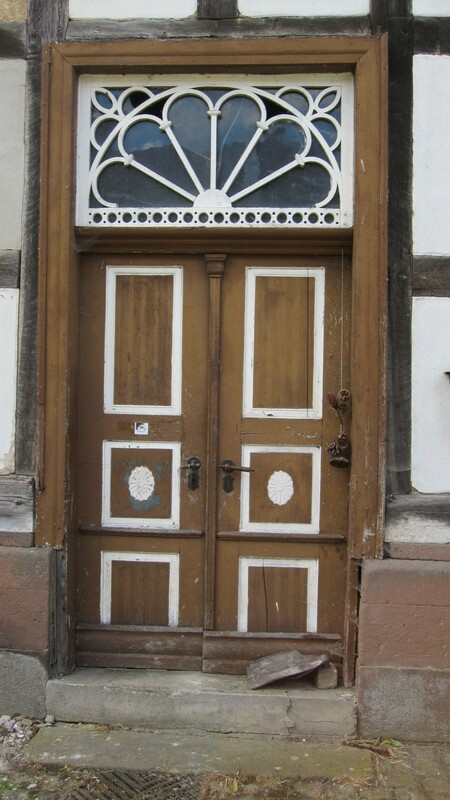 Home → Schwalm Whitework → Why “Schwalm”? 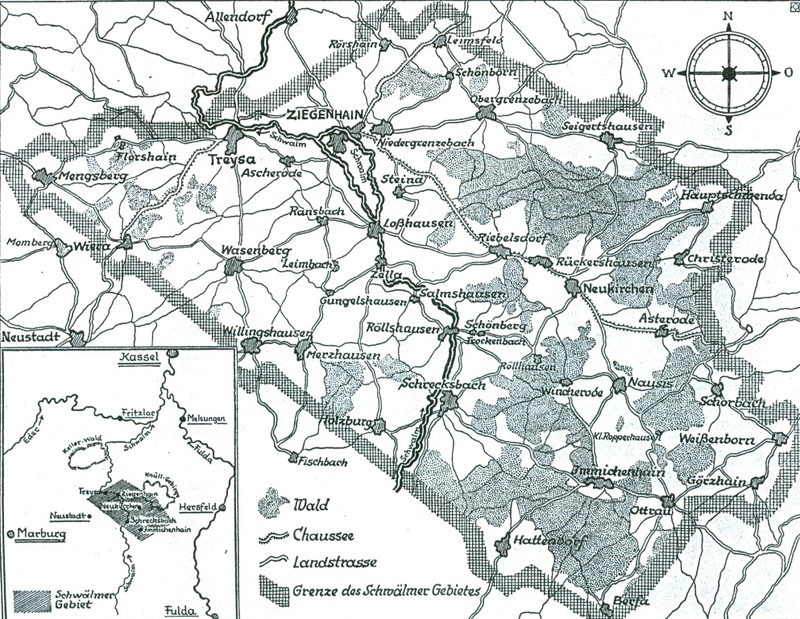 Schwalm Whitework (Schwälmer Weiß­stic­kerei) owes its name to the geograp­hical area known as “the Schwalm” which is situated in the middle of Hesse (a state in west-central Germany). 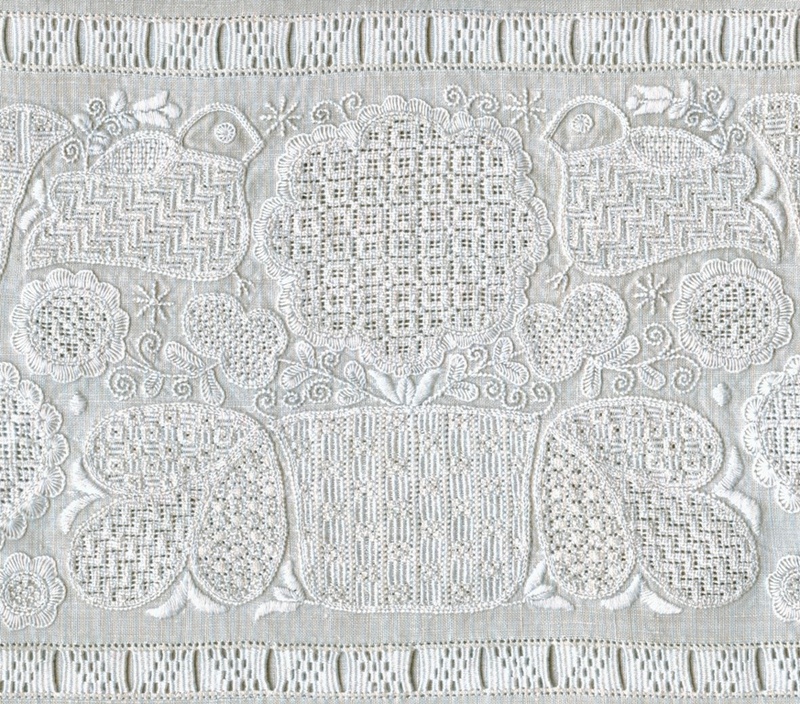 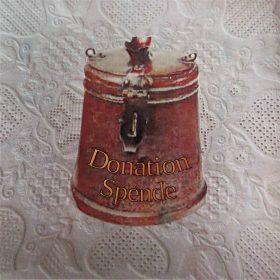 It is here that this very special variant of whitework developed. 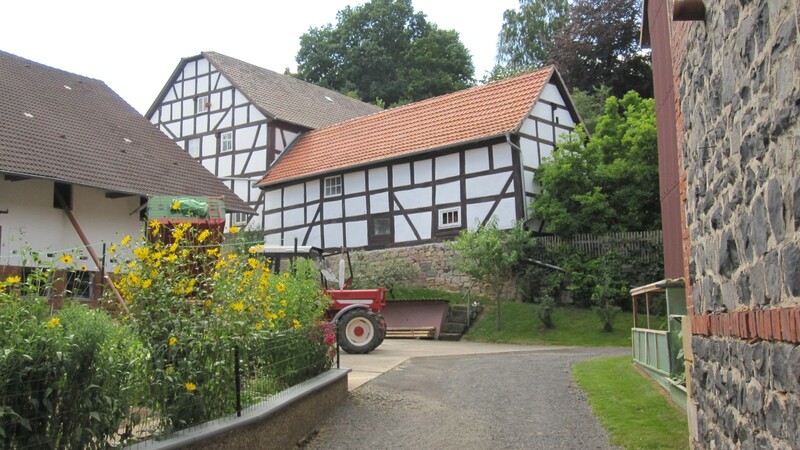 Later it was also called “Hessen­stic­kerei”. 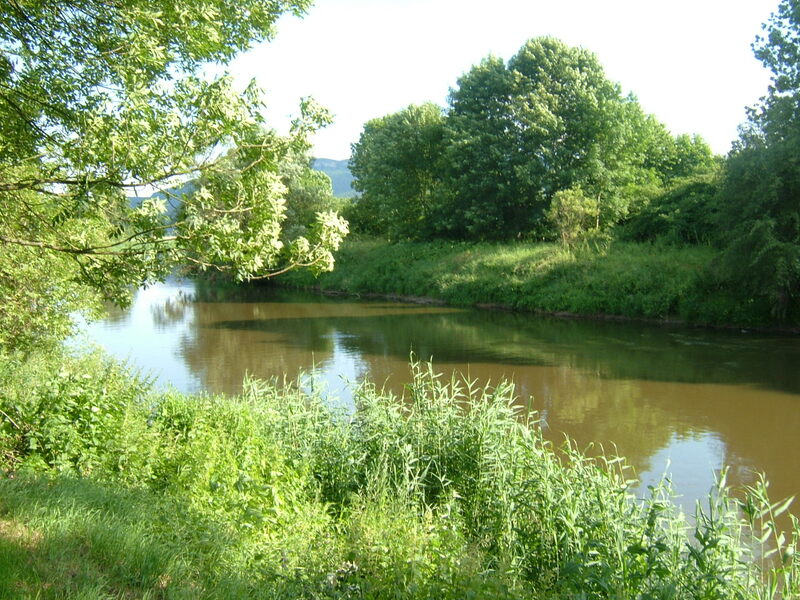 The Schwalm is a small area in Hesse through which the river Schwalm flows. 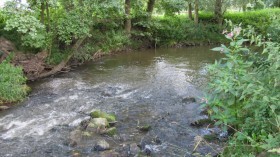 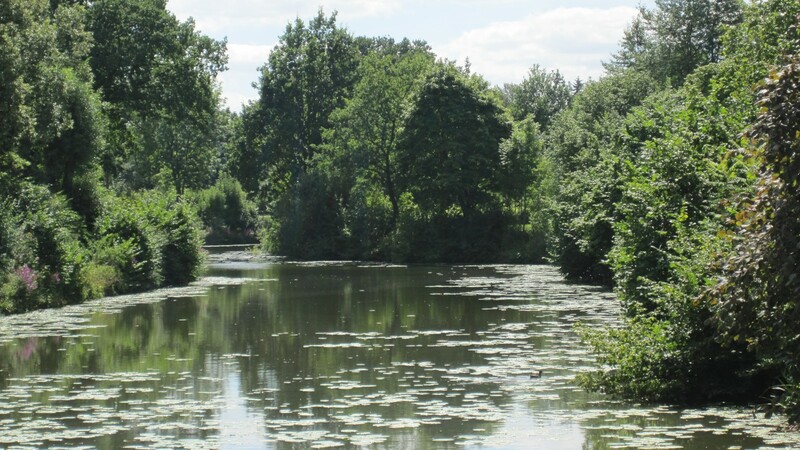 And it is from the river that the surrounding count­ryside takes its name. 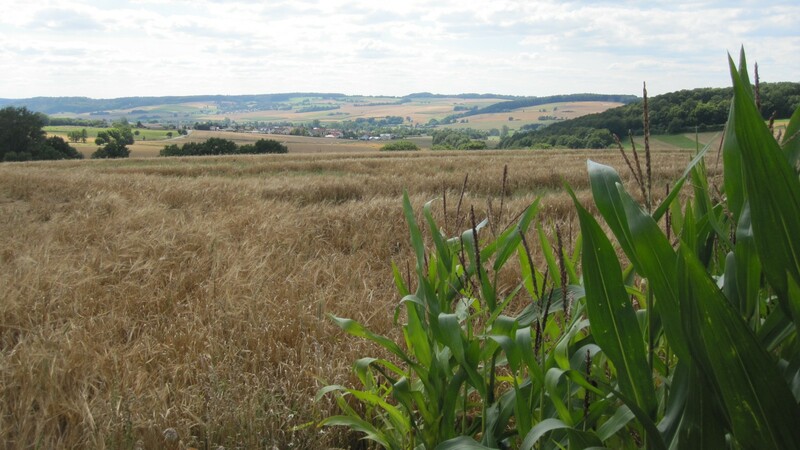 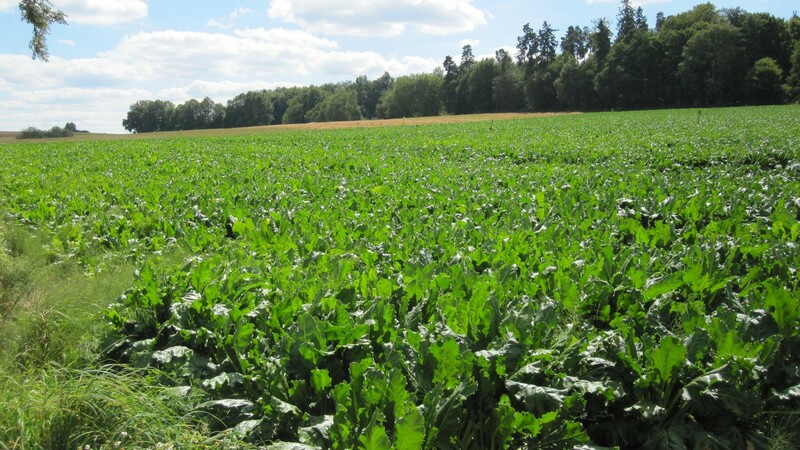 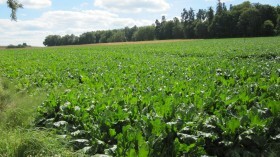 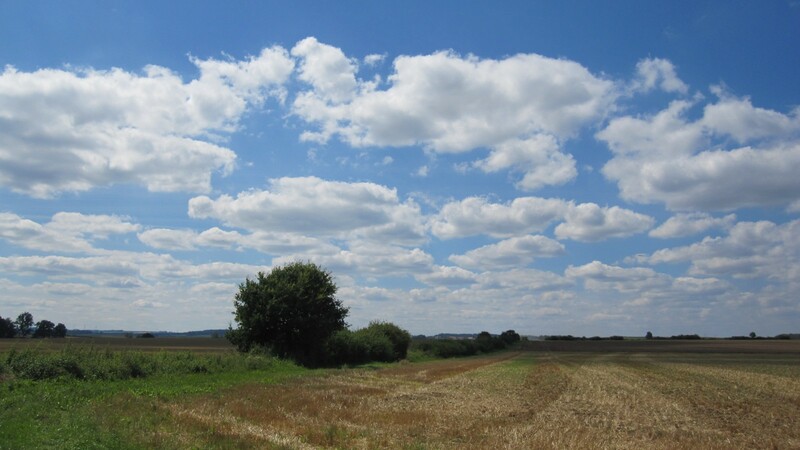 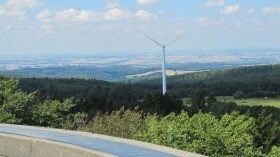 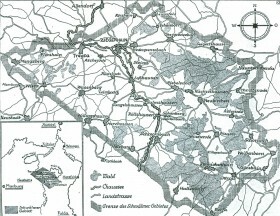 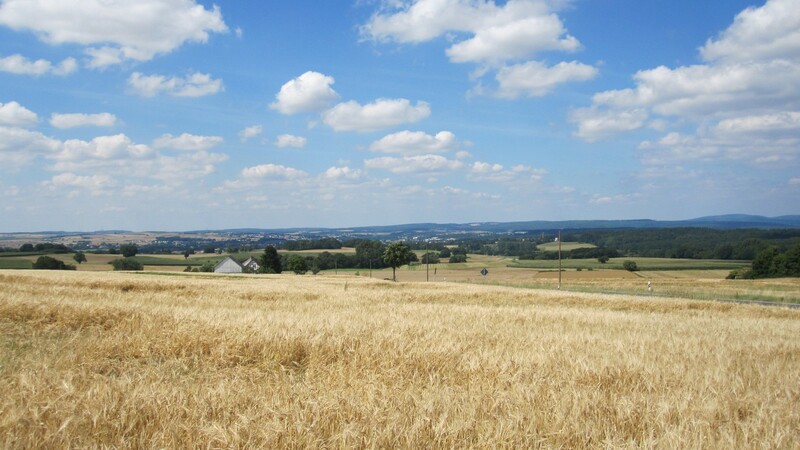 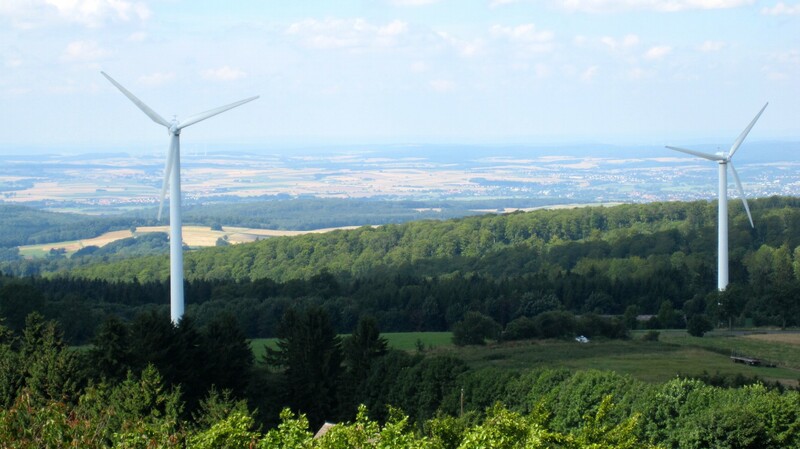 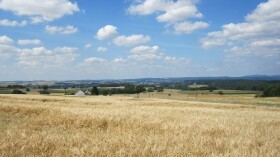 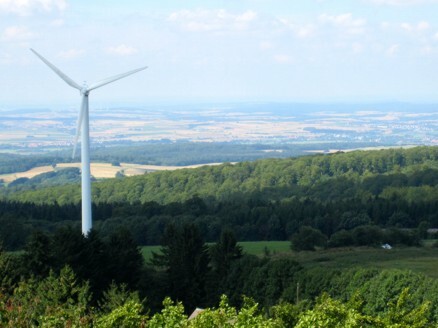 The fertile plain of the Schwalm is surrounded by wooded hills – “Kellerwald” in the northwest, “Knüll” in the northeast and “Voge­lsberg” in the south. 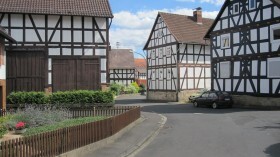 The region, situated between Kassel in the north, Marburg in the southwest and Bad Hersfeld in the east, covers an approximate area of only 155 square km. 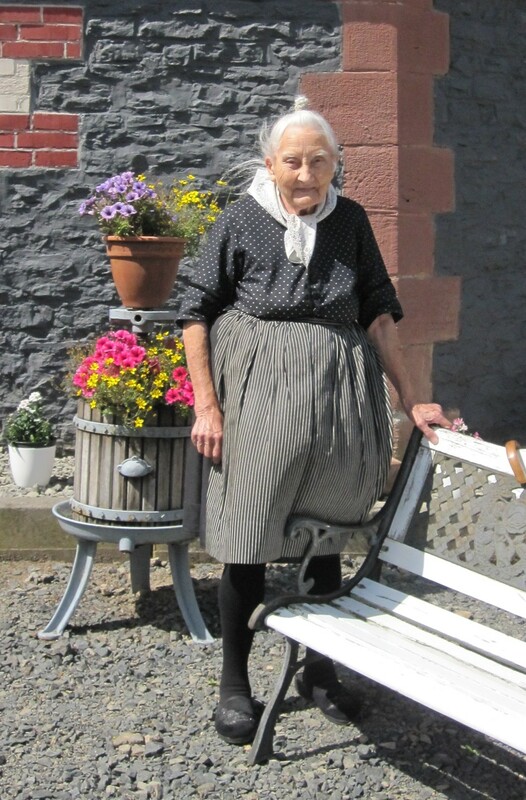 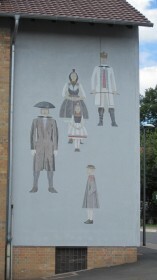 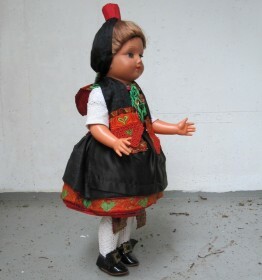 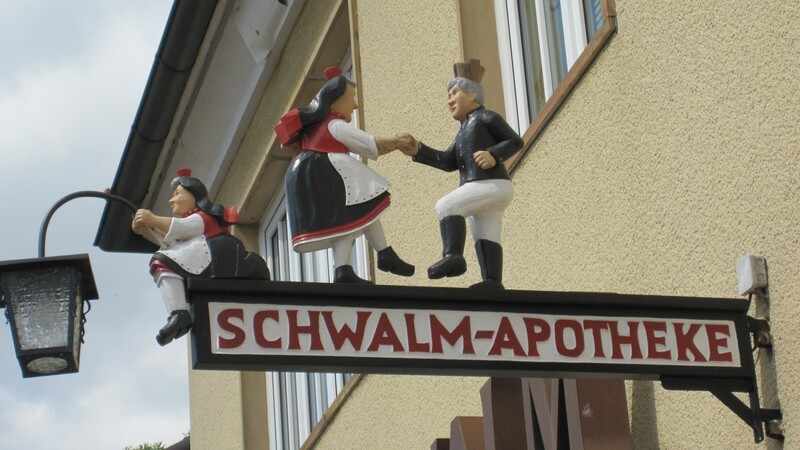 Over the centuries, distinctive Schwälmer struc­tures and traditional costumes developed. 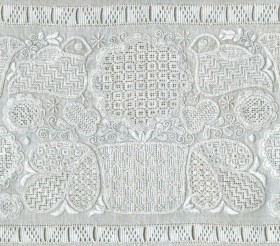 Over the course of time, a singularly beautiful embroidery developed – die Schwälmer Weiß­stic­kerei. 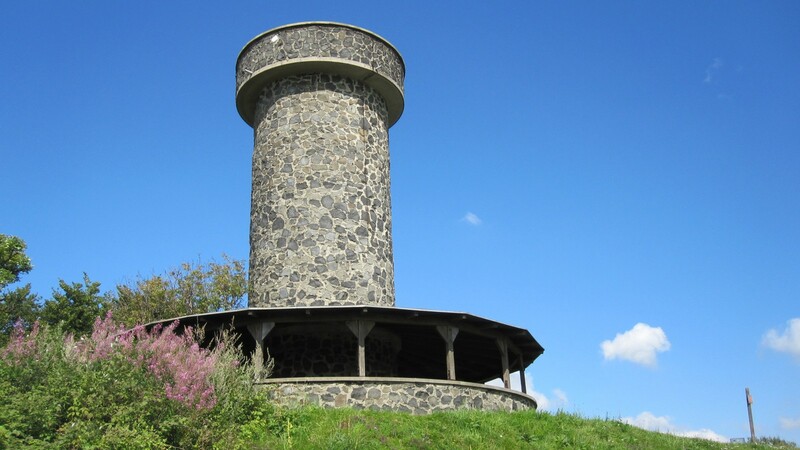 View from the lookout tower of the “Knüllköpfchen” – the highest point in the “Knüll” mountains. 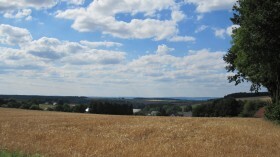 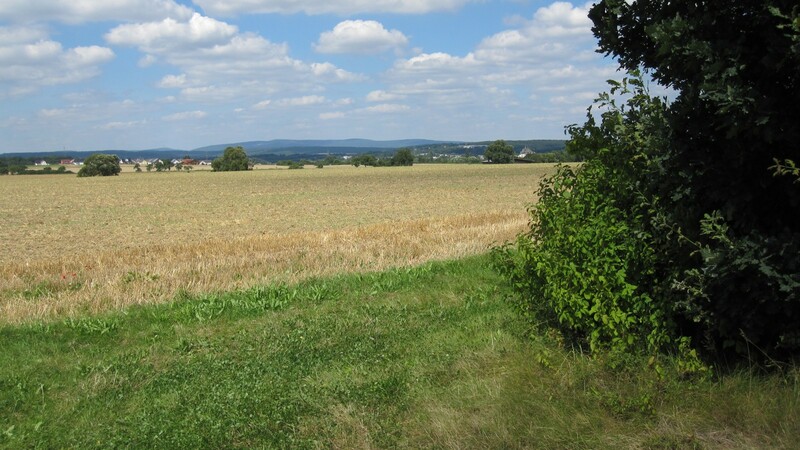 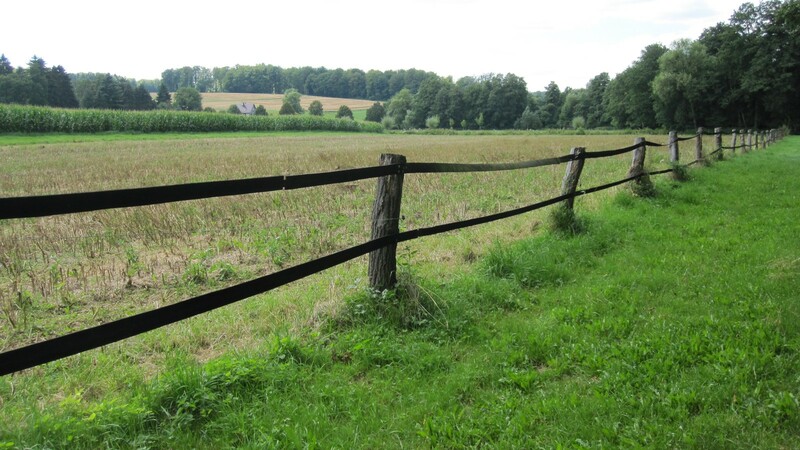 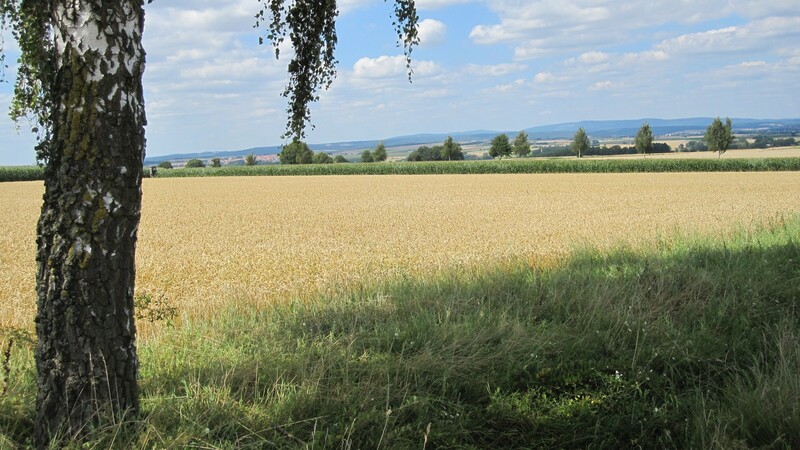 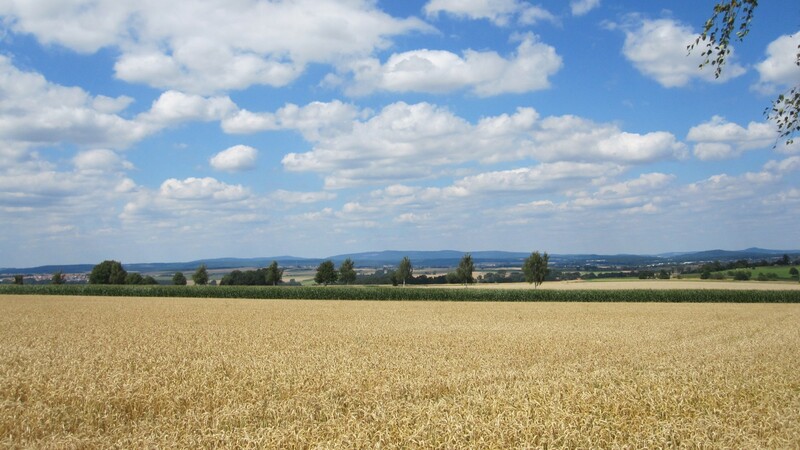 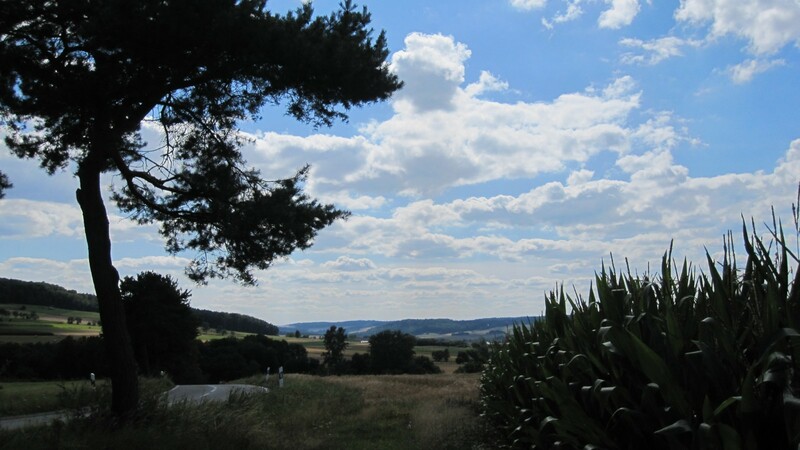 One can enjoy wide open panoramas in the Schwalm region. 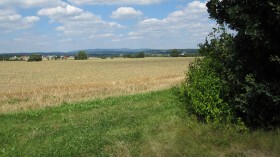 View from Obergrenzebach to the fertile plain of the Schwalm. 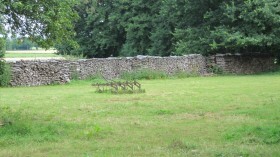 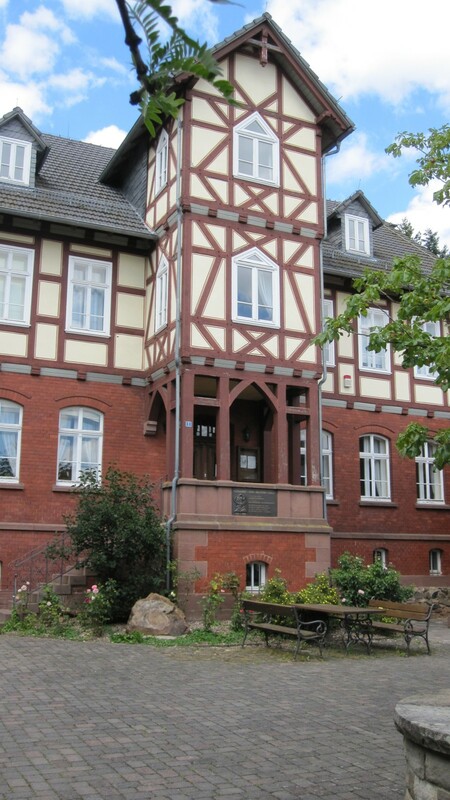 … and the nearby buildings. 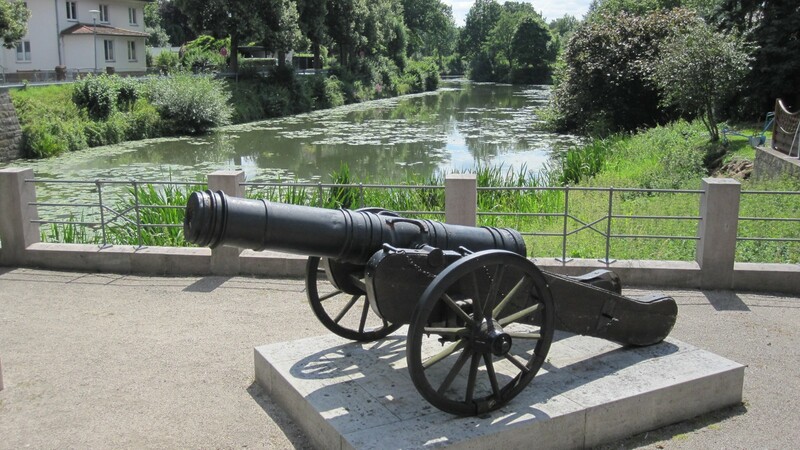 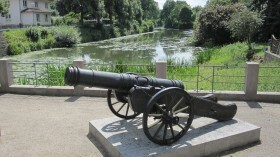 Old gun – vestige of the water fortress of Ziegenhain. 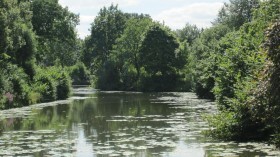 Section of the moat around Ziegenhain. 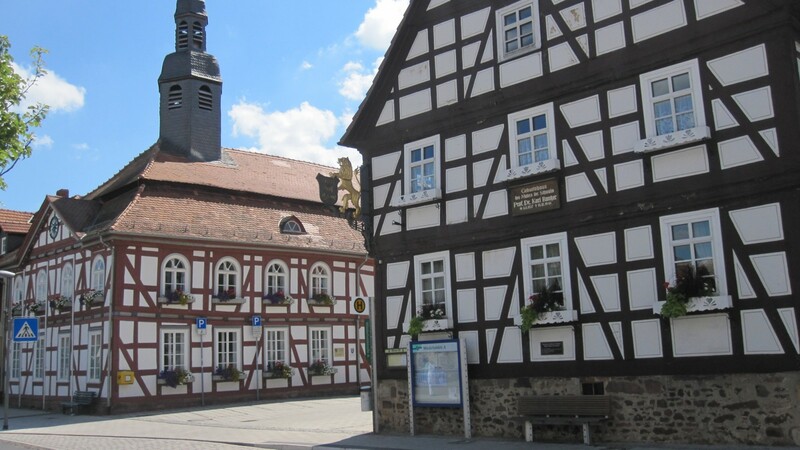 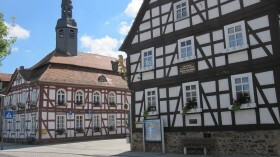 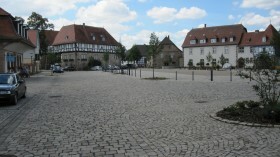 View of the parade route including the museum in Ziegenhain. 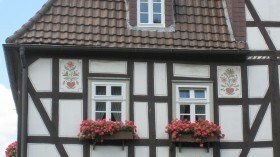 Typical Schwalm flower box at the museum in Ziegenhain. 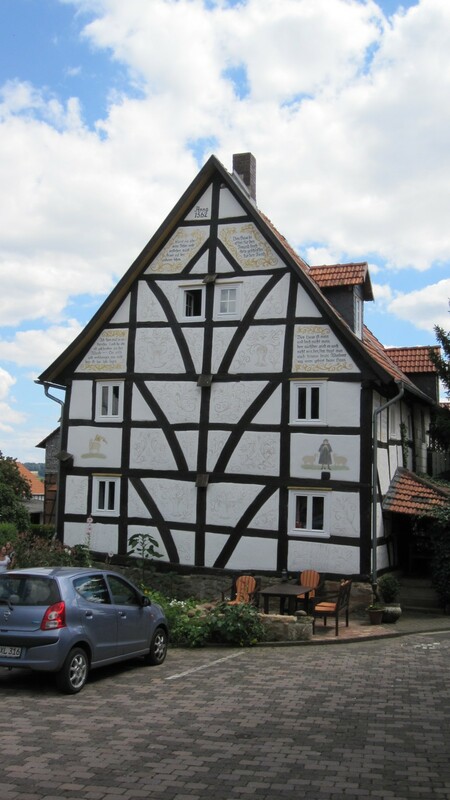 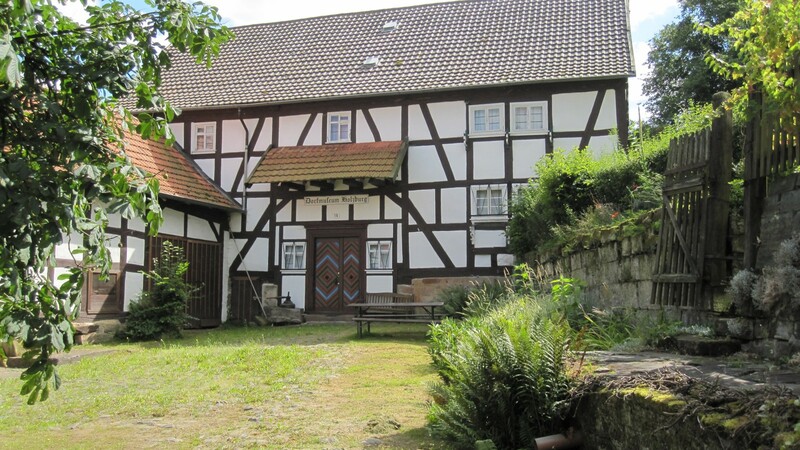 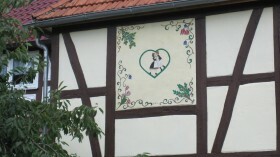 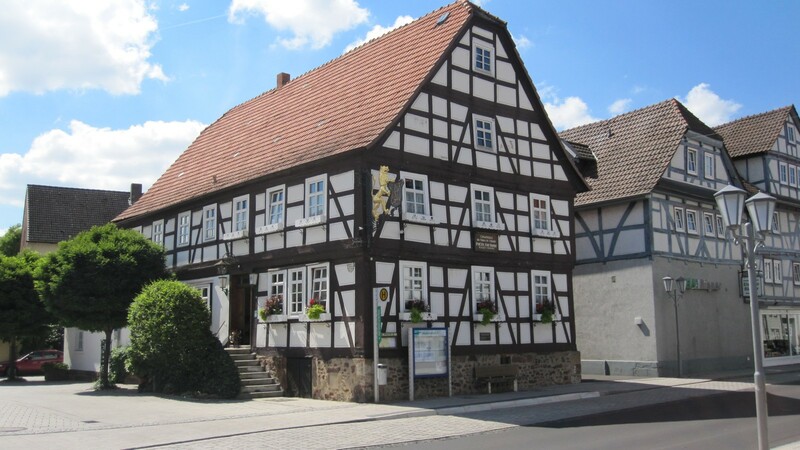 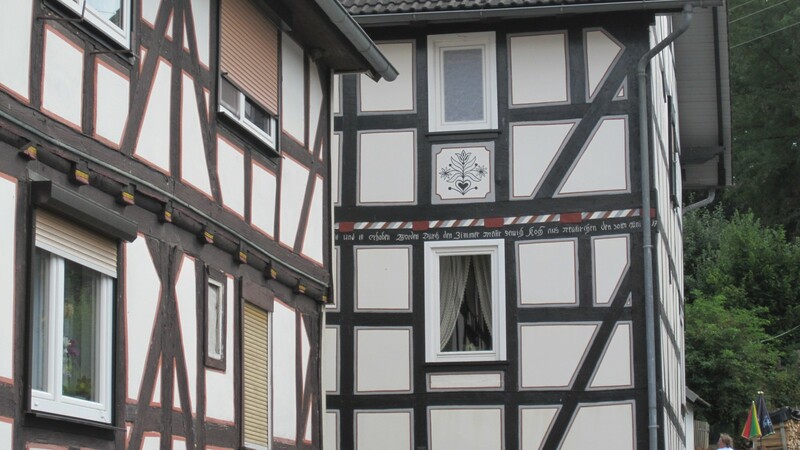 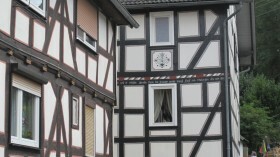 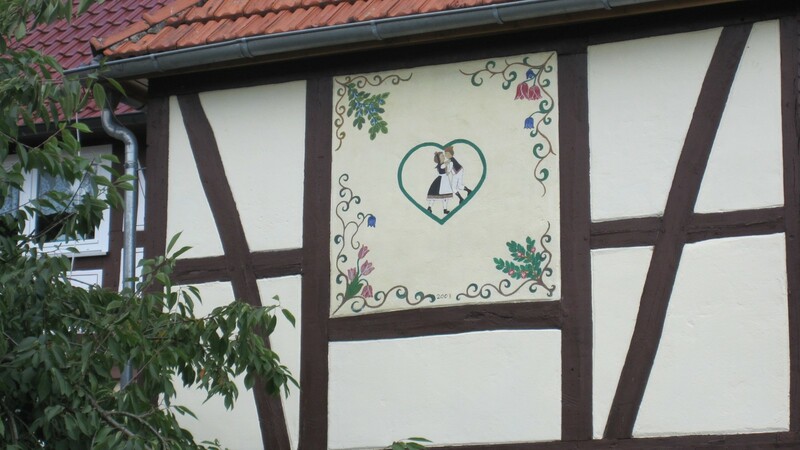 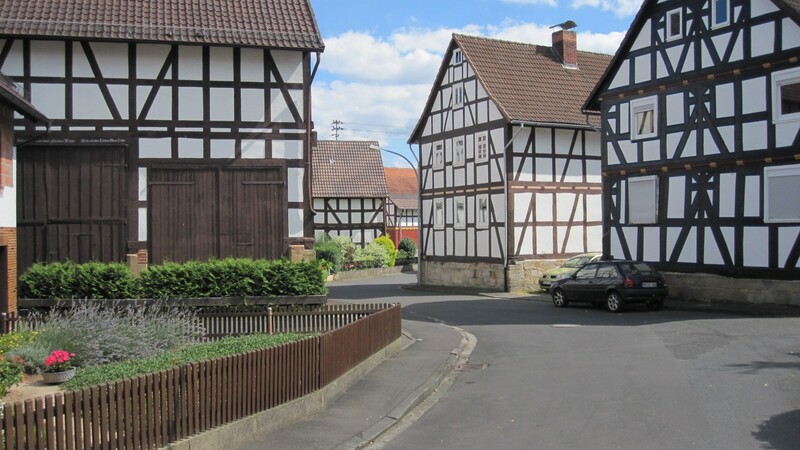 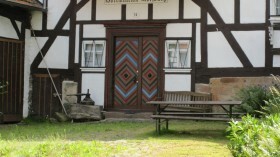 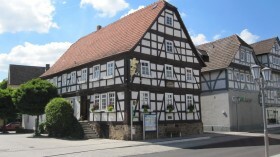 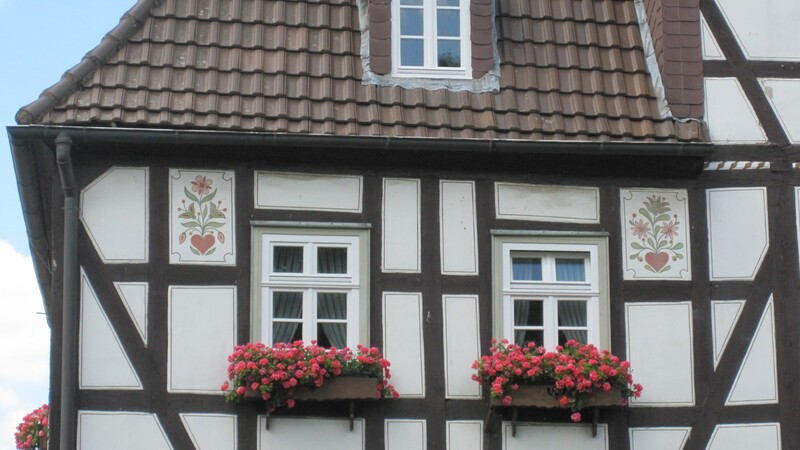 Half-timbered house with wall painting in Ziegenhain. 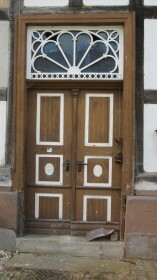 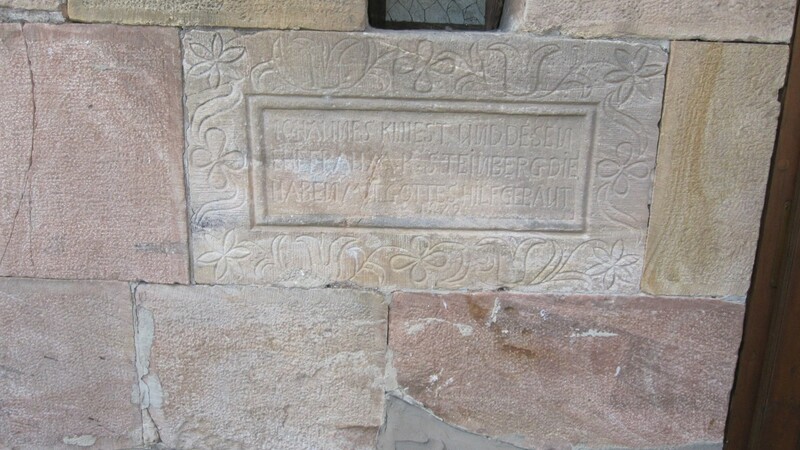 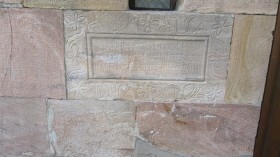 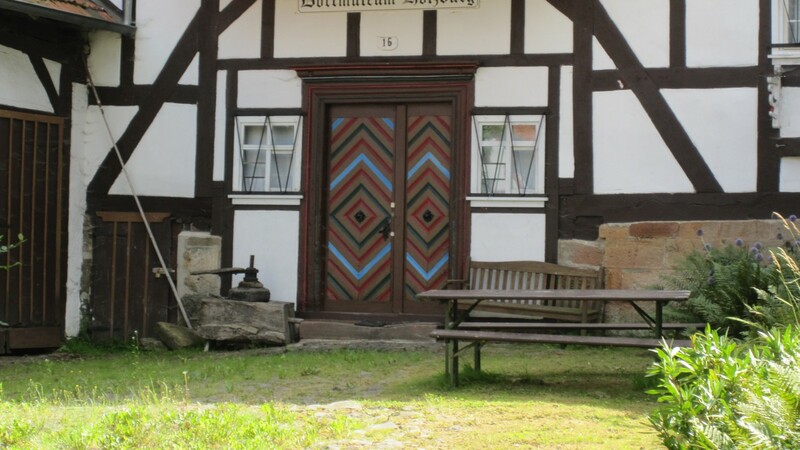 Typical Schwalm door in Gungelshausen. 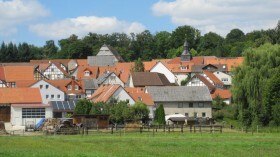 View to the painter-village Willingshausen. 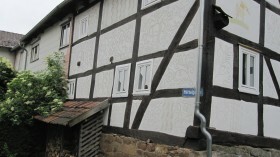 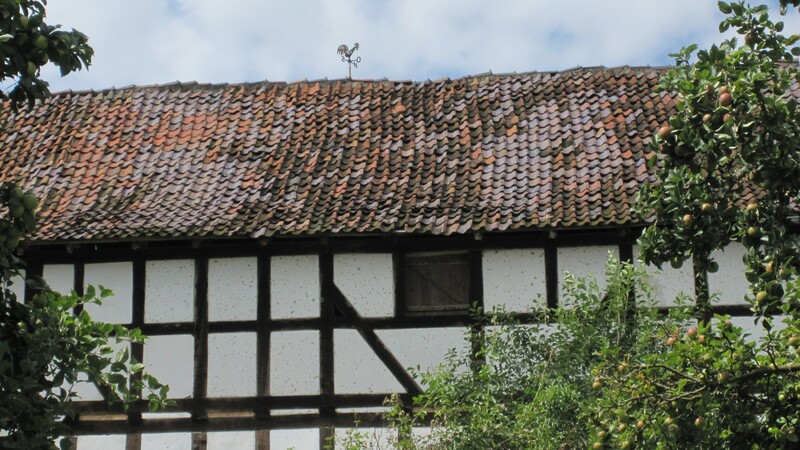 House with scraped plaster in Willingshausen. 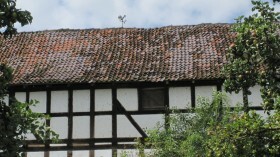 Weathercock on old barn roof in Willingshausen. 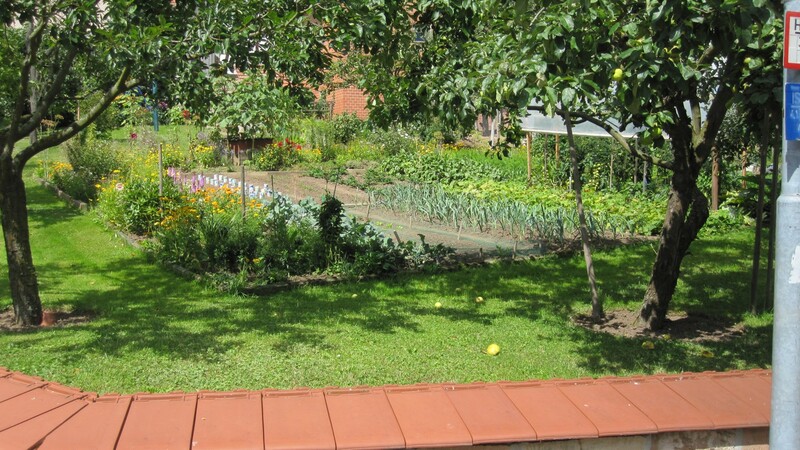 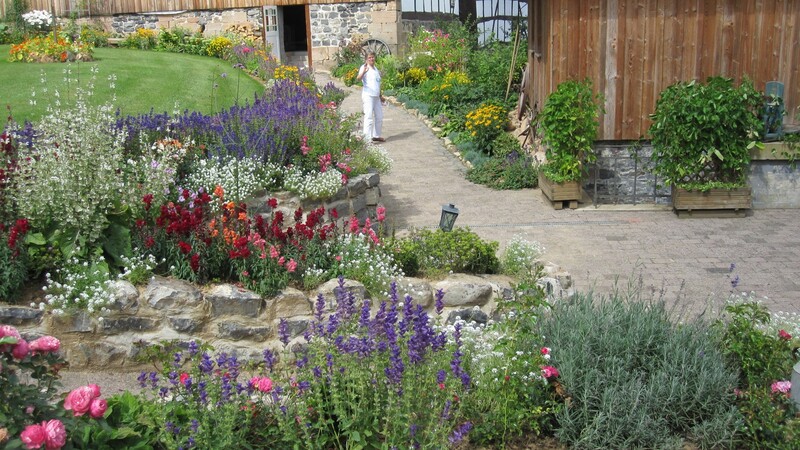 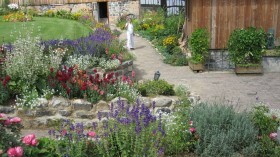 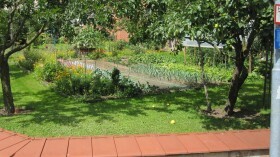 Well kept house garden in Willingshausen. 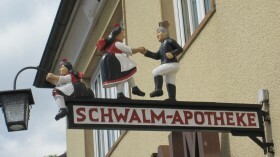 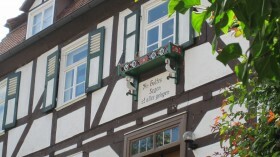 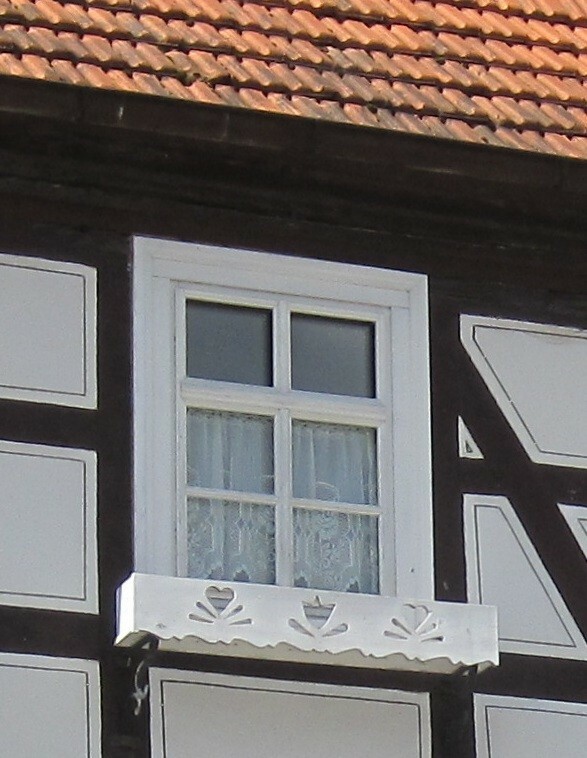 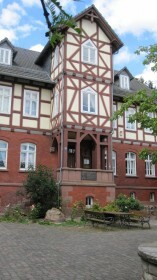 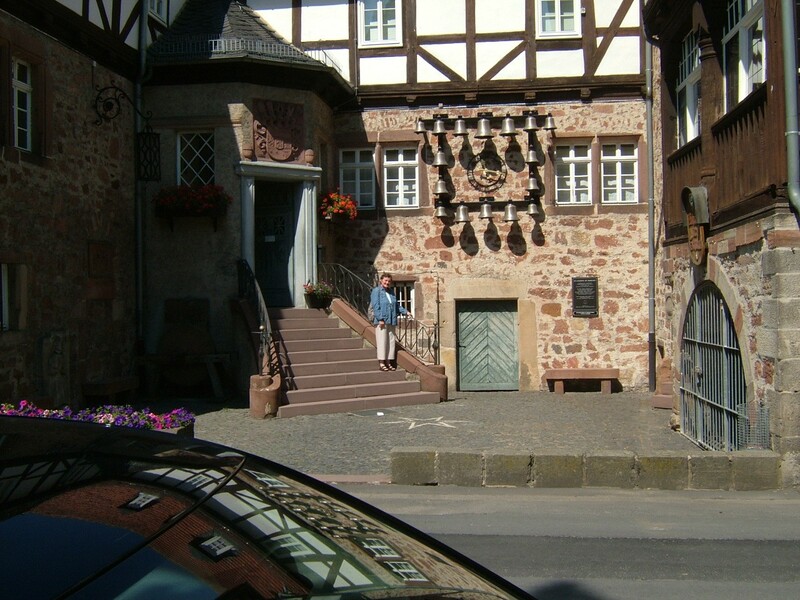 Typical Schwalm cantilever of a shoemaker in Willingshausen. 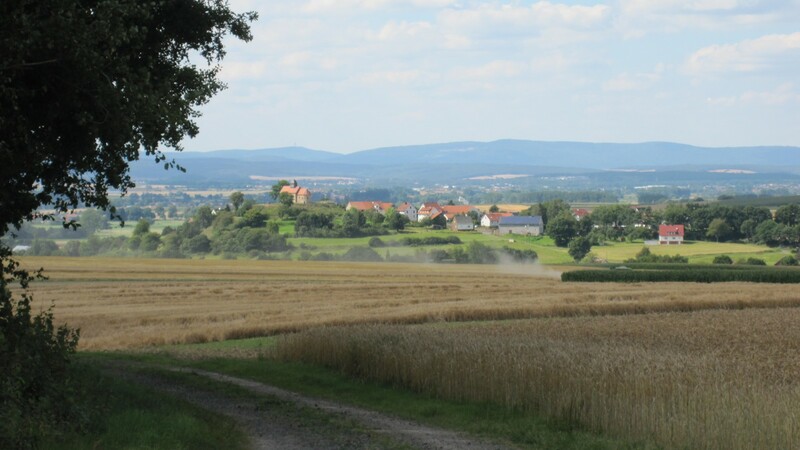 View from the road to Holzburg to Wasenberg. 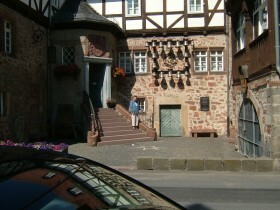 At the museum in Holzburg. Old Schwalm wife in working costume. 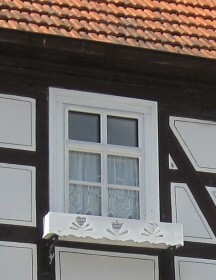 Typical Schwalm flower box with “white stork” holder. 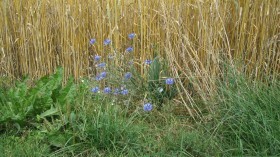 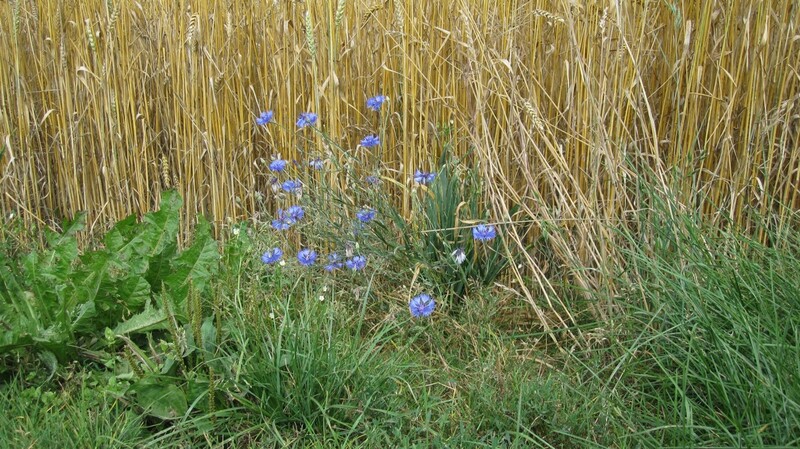 Cornflowers on the edge of a wheat field. 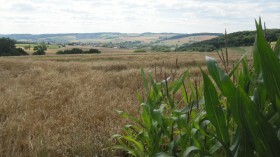 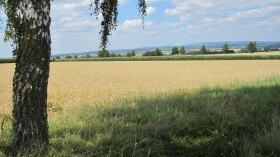 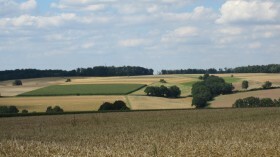 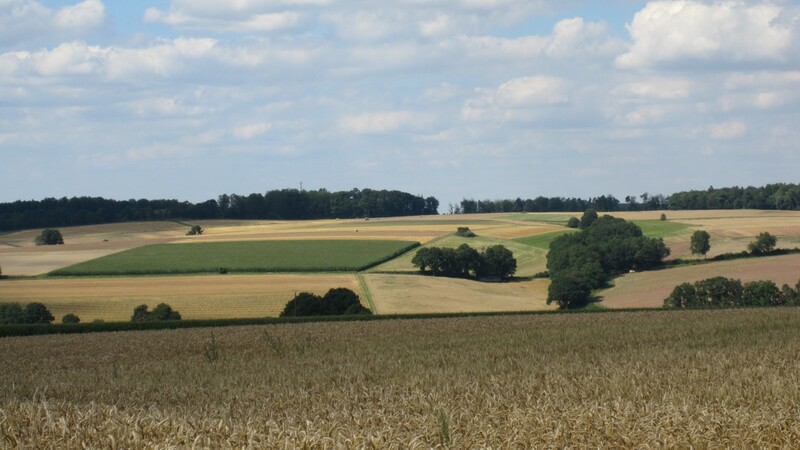 Typical Schwalm countryside near Asterode.